From acclaimed developer Rare comes a shared-world adventure game that offers the ultimate pirate experience. Packed to the seams with sailing and exploring, fighting and plundering, riddle solving and treasure hunting, Sea of Thieves has everything you need to live the pirate life you’ve always dreamed about. 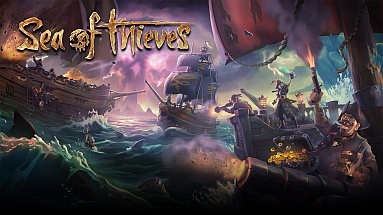 Set in a glorious world of exotic islands, hidden treasures and dangers both natural and supernatural, Sea of Thieves immerses you in a new type of multiplayer action. Whether you’re adventuring as a group or sailing solo, you’re bound to encounter other crews – but will they be friends or foes? And how will you respond?